Let yourself be enchanted by wonderful days in the Golden City of Prague and from glitz and glamour of your design hotel. You will live centrally located in the trendy artist district of the city which is the perfect location to get to all the important sights and hotspots in only a few minutes. The central station is only a two stops away. 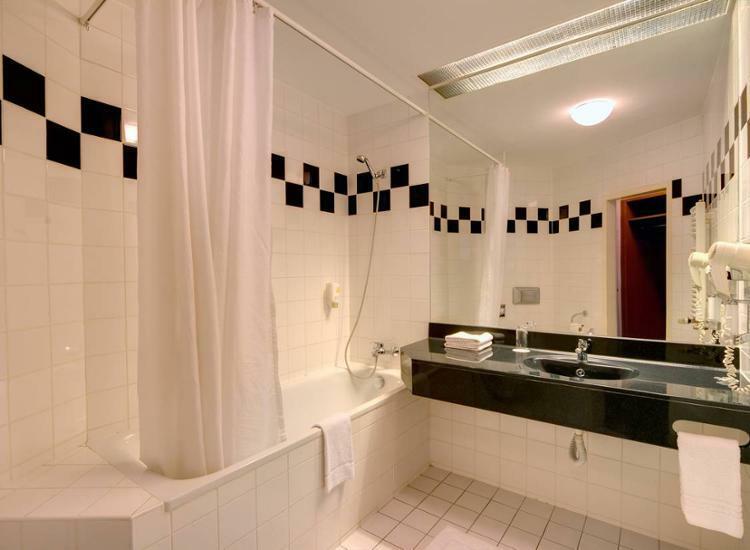 Each room in the design hotel is a pure eye candy. 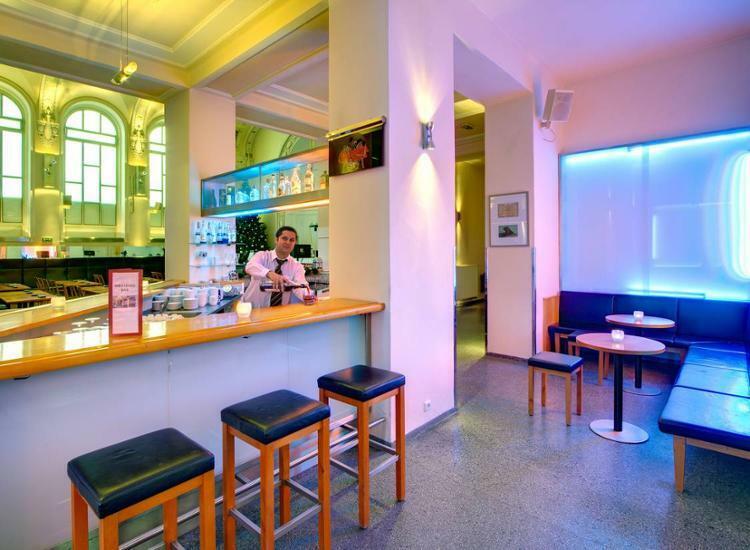 The former Art Nouveau theater was completely redesigned by Austrian designer and painter Harald Schreiber. Experience glitz and glamor in a feel-good atmosphere. Welcome to your first class hotel in Prague! 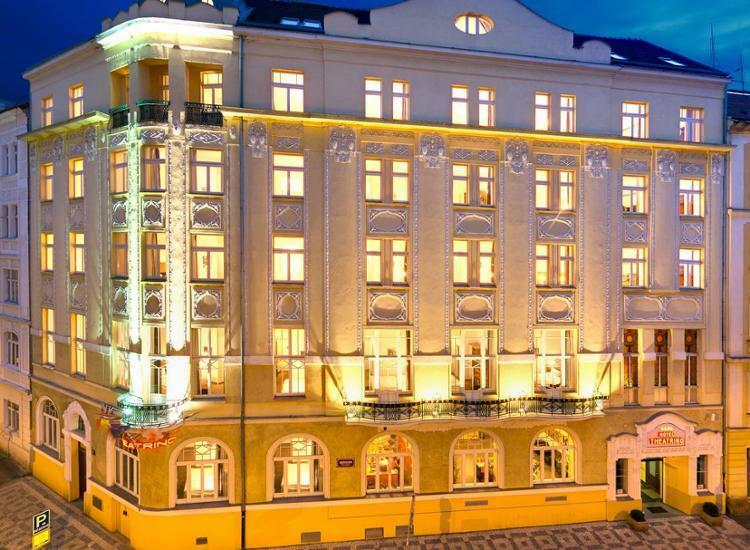 This beautiful Prague hotel, designed in the Art Nouveau style, is located just two stops from the main train station and four stops from Wenzel Plaza. These Prague accommodations are comprised of 73 individually decorated rooms, so every visitor has a unique experience. 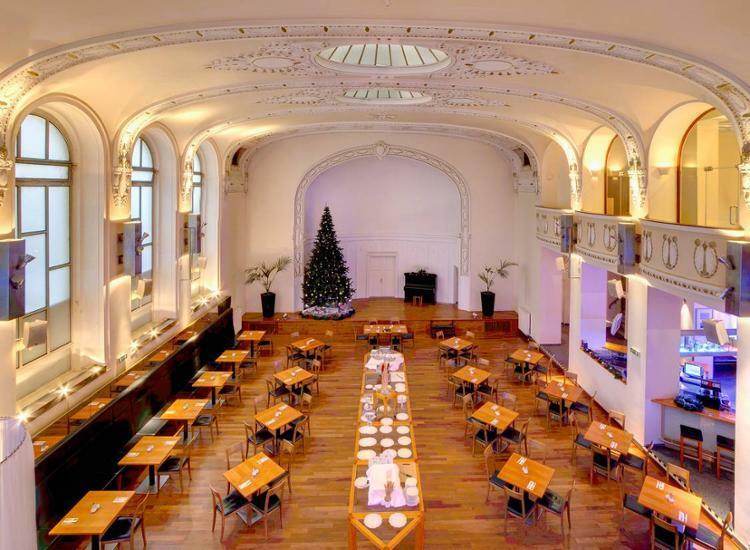 Formerly an Art Nouveau theater, in 2000 the Austrian designer, architect and painter Harald Schreiber completely remodeled the building, turning it into the hotel it is today. 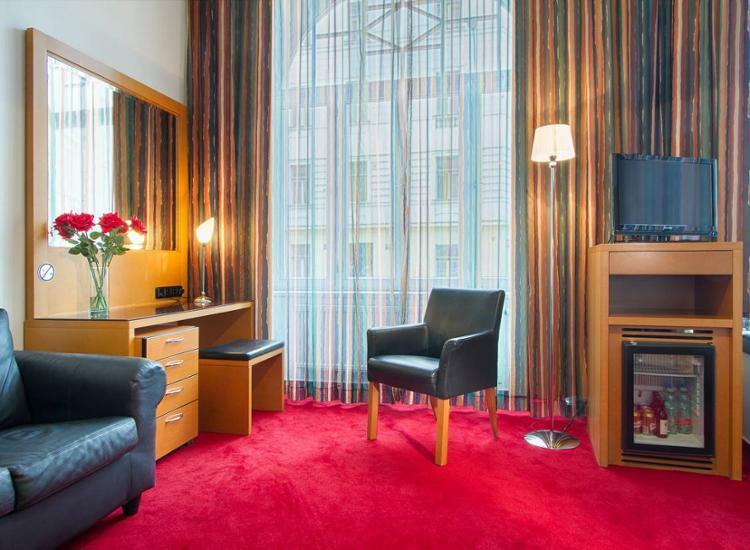 Thus, this Prague hotel is not just a beauty to behold; it is the perfect starting point for your vacation in Prague. In terms of relaxation, the hotel also boasts a wellness area, where you can relax in the sauna and steam room or have a massage after a long day of sightseeing. 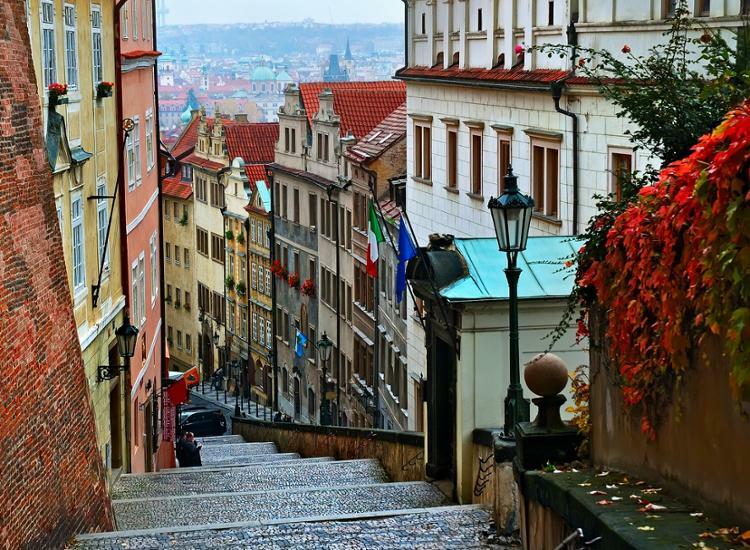 To tour Prague means to immerse yourself into a city with a thousand year old history. The city and its history is inseparably linked to the Vltava (Moldau) River. 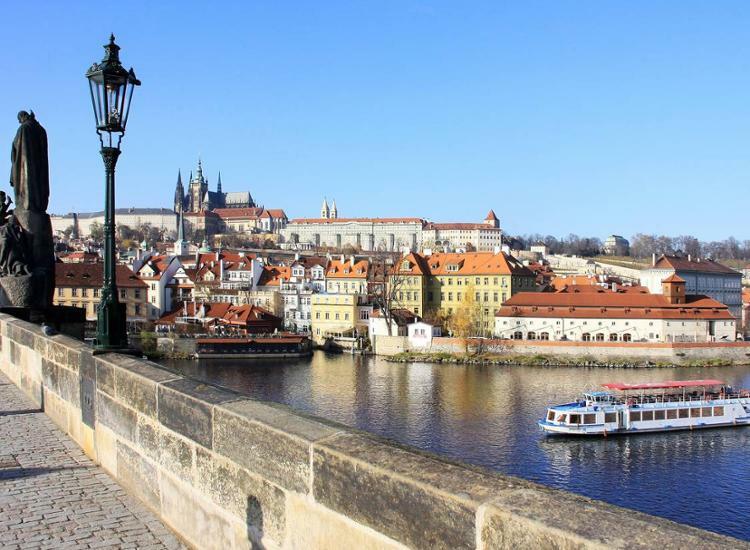 The ‘Kings Way’, a popular tourist route, runs from the city center across the Karlsbrücke (Karls Bridge) to the Prague Castle. You have got to see the ‘Old Town Ring’ too. There you will find the Teyn Church, Ungelt, the Town Hall and the Astronomical Clock. This is the same neighborhood where you will also find the second medieval castle, Vyšehrad with St. Peter and Paul Church. Prague is also a very lively city, a modern metropolis with many theaters, concerthalls, exhibition halls, museums and galleries.